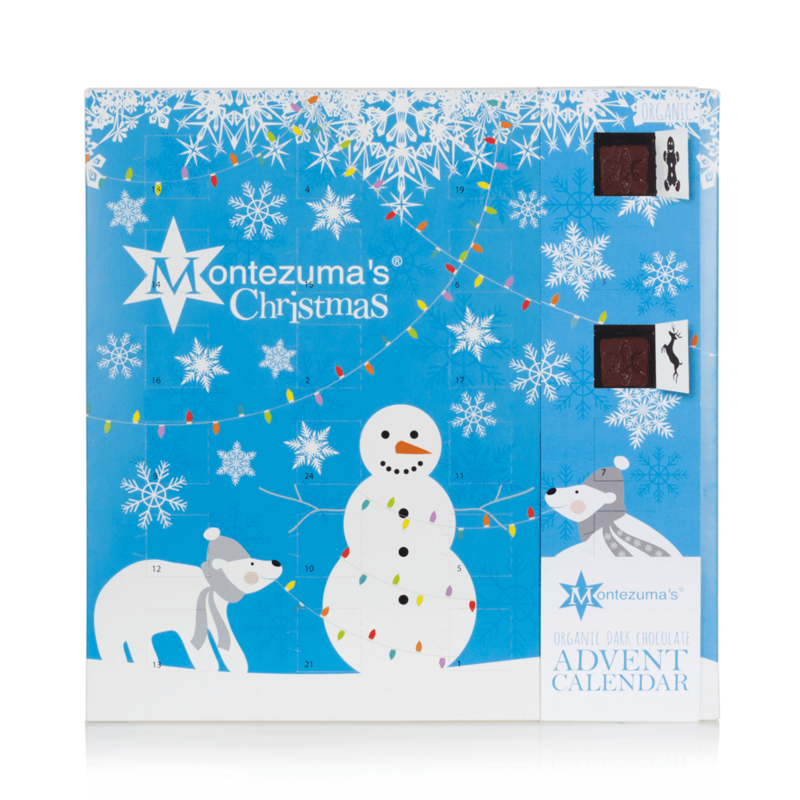 One of the best things about the festive season is that we get a chocolate treat everyday in the run-up to Christmas. 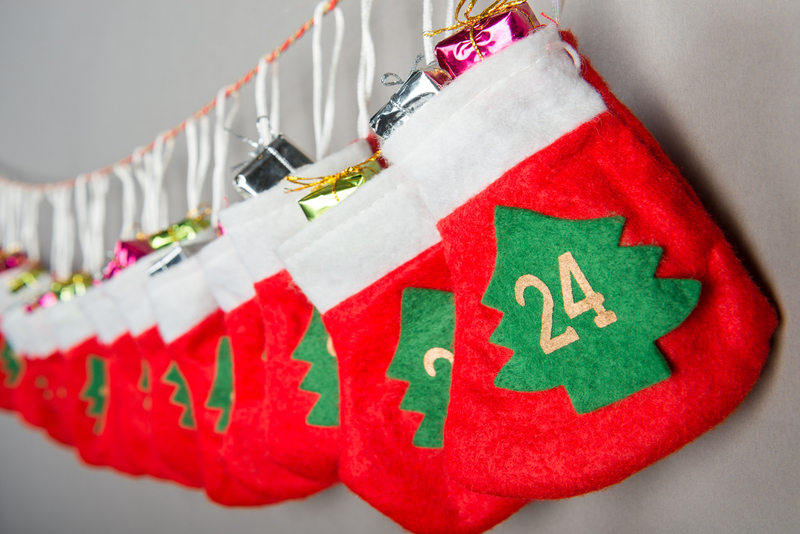 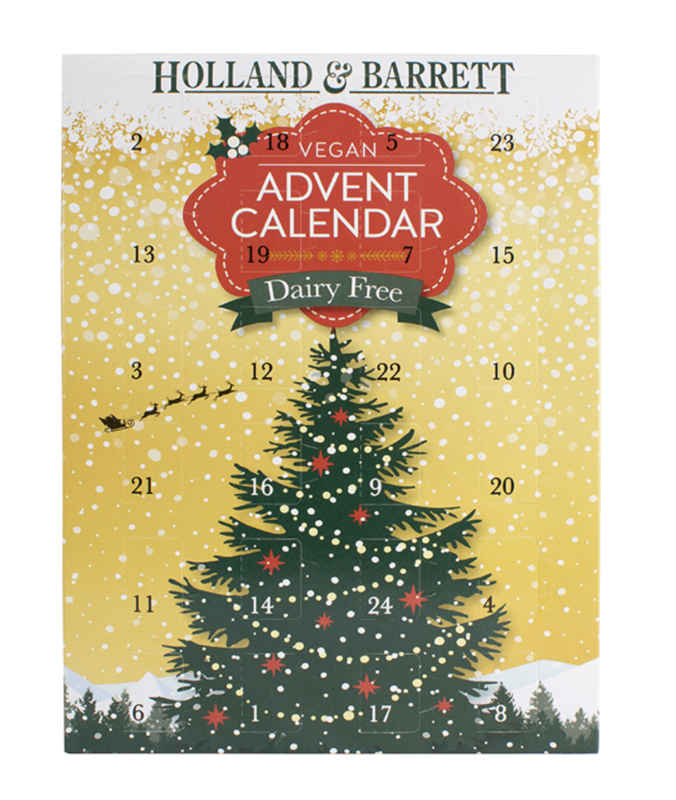 And dairy-free dieters needn’t miss out as there’s plenty of dairy-free advent calendars to get you in the festive spirit this year! 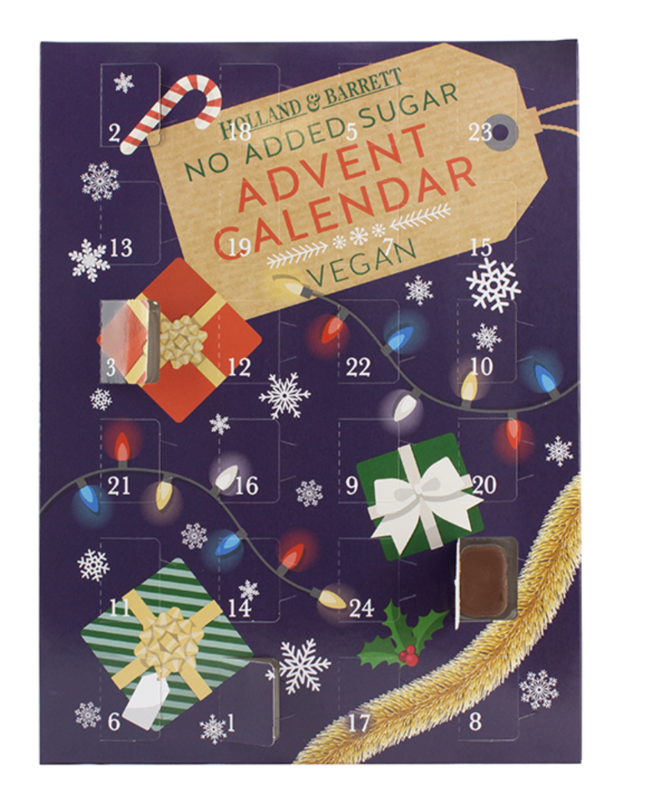 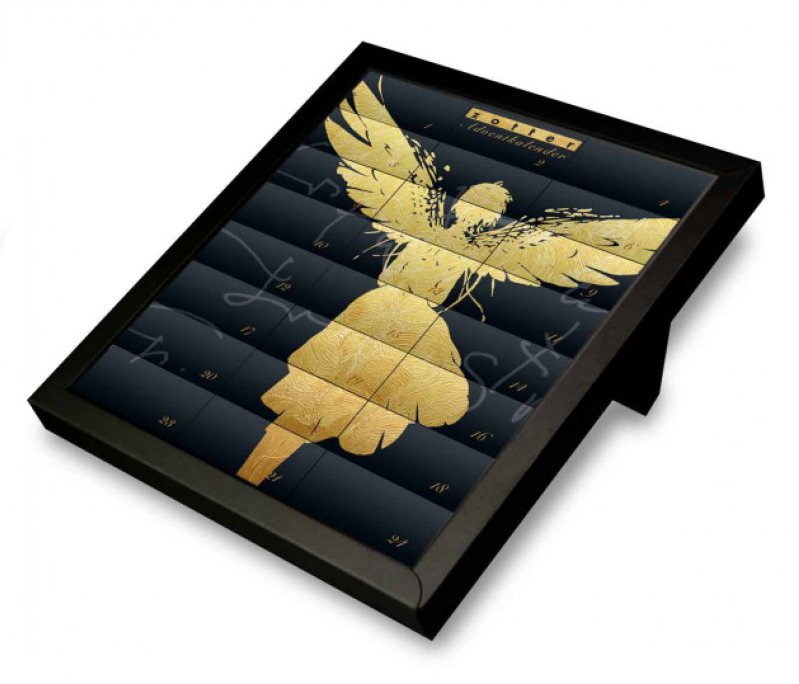 This calendar houses a whopping 240g of pure Organic 73% Cocoa Dark Chocolate and is perfect for dark chocolate fans and those on a dairy-free diet! 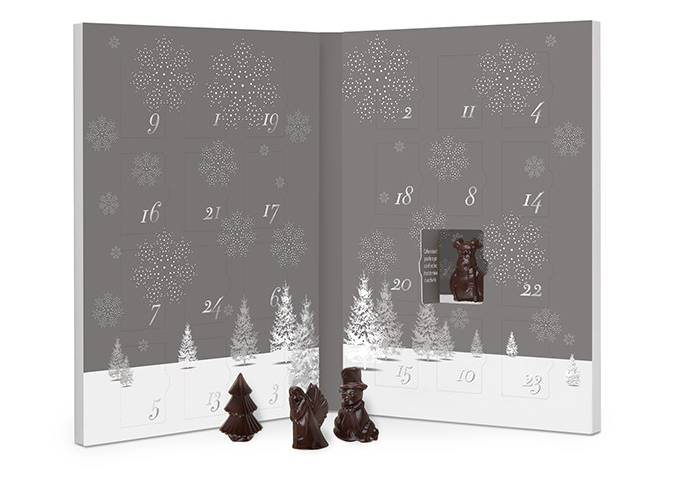 24 chocolates per calendar. 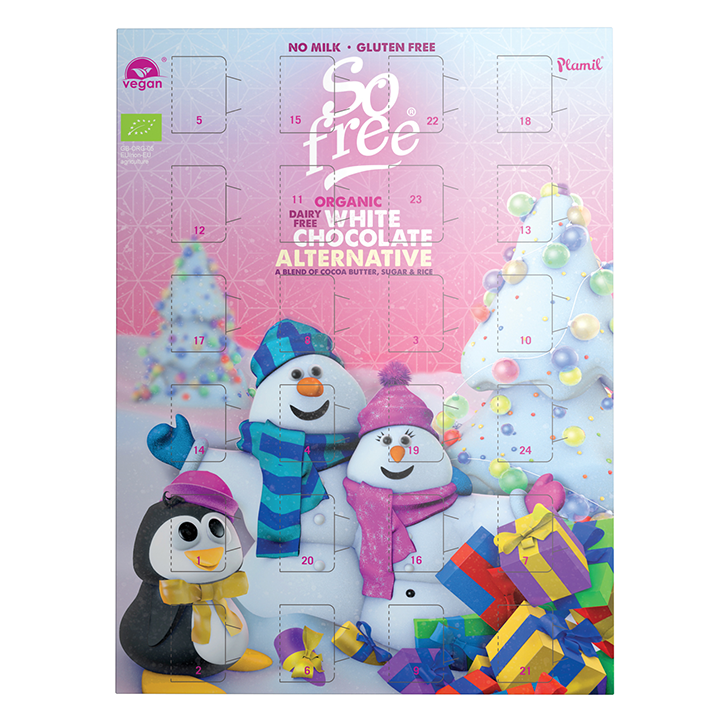 This organic dairy-free white chocolate alternative advent calendar is particularly good for those with a dairy allergy as it is made in Plamil’s own factory which never uses dairy or gluten. 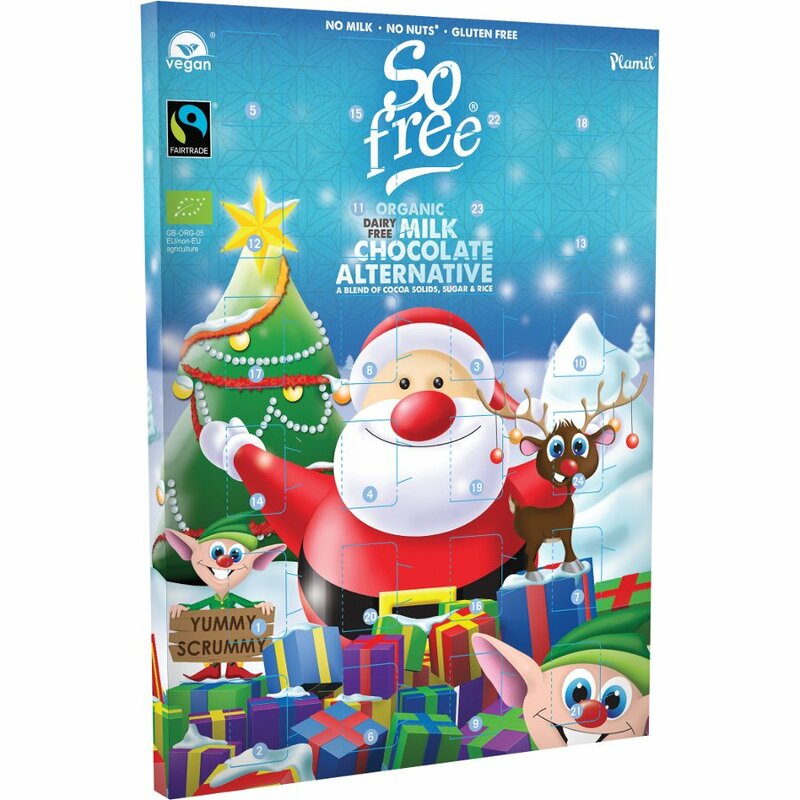 Made from a blend of cocoa butter, sugar and rice it tastes just like white chocolate made with milk but it’s vegan and gluten-free. 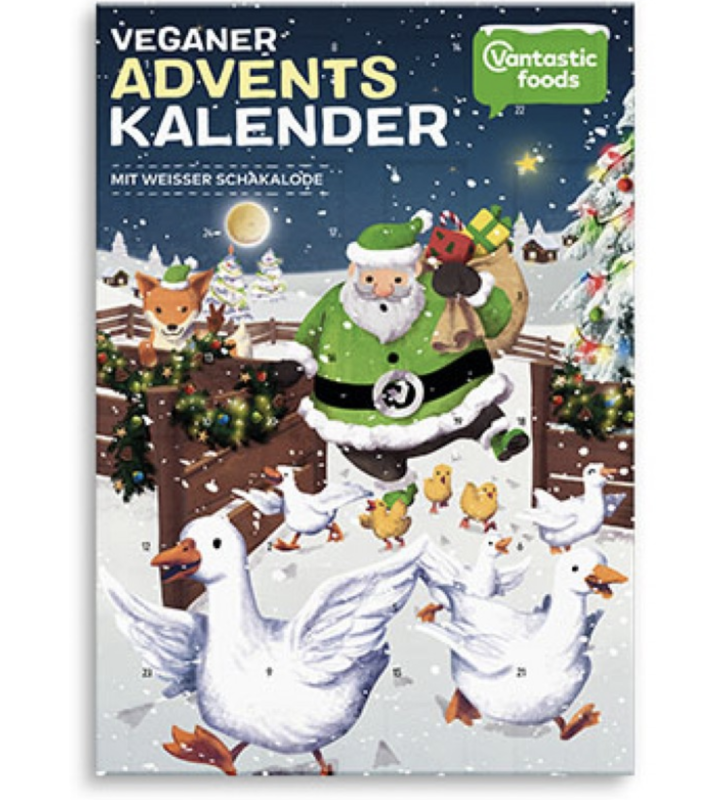 But it: Amazon UK, Ethical Superstore, Goodness Direct, Holland and Barrett (instore) and Ocado. 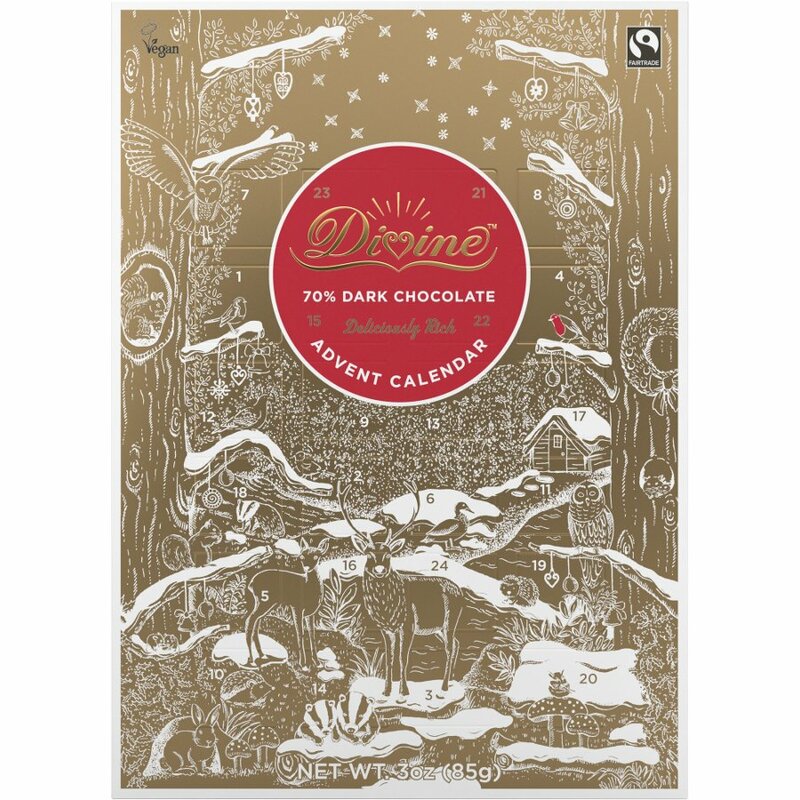 Count down the days to Christmas with a fair trade Divine dark chocolate each day. 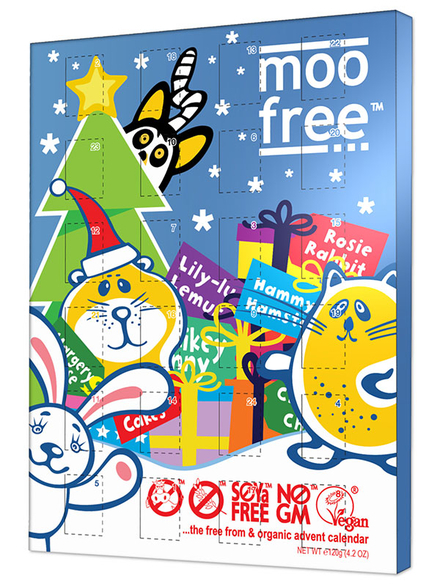 Each mini chocolate shape is made with skilfully harvested cocoa beans from Kuapa Kokoo, a fair trade co-operative of loud-and-proud smallholder farmers in Ghana.